Looking for a HP calculator? Look no further! It is probably well-known that I am a little bit of an enthusiast when it comes to HP calculators. I have written about this in the past here on my blog. The other day I received a packet from Switzerland. Inside I found two calculators from SwissMicros. This is a company who created and sell clones of the famous HP Voyager series (HP-11C, HP-12C, HP-15C and HP-16C) as well as a version to emulate HP-41. I received one full-size DM-15L (which was introduced just last year) as well as the original credit card sized DM-15. I picked this model as I still have my original HP-15C that I got in 1983 so I could compare them side-by-side. SwissMicros have made an amazing job. I have just started playing with them, but they work just like the original. The attention to detail is pretty amazing. On the back of the larger DM-15L there is even the same set of formulas, functions and error messages as on the original. There are of course some differences. The case is not plastic but titanium, and held together by four screws. The keys are flatter that on the classic HP keyboard, but the feel of the keyboard is almost identical, something that really impressed me. On the credit card sized DM-15 the keys are almost totally flat, but still easy to use despite the small size. 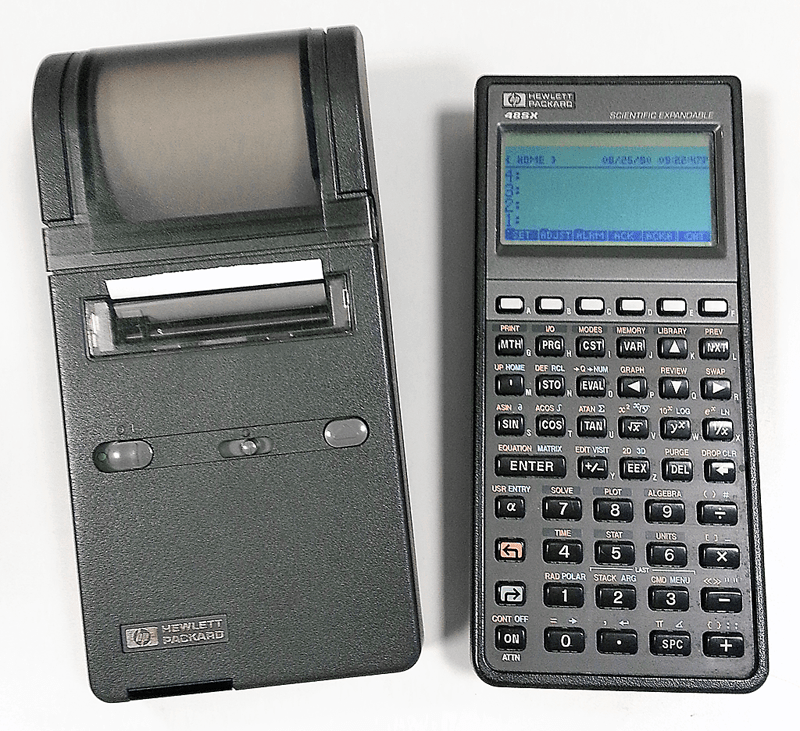 There is also a USB port to allow users to connect to the computer to update the firmware or even access the content, something that did not exist back when the orignal calculators were introduced in the early 1980’s. SwissMicros also claim to have fixed some of the bugs found in the original calculators. There is also more memory available by using a special firmware. The fact that you can upgrade the firmware is very nice. These days we are used to that, but back in the 80’s that was unheard of. Another neat feature is that there are 3 different fonts to choose from. The original of course only had one font. The letters on the display are a little bit larger than the original, making them easy to read. The calculators also run at a much higher speed than the original at 48 MHz, but the speed can be slowed down to 12 MHz with a special key kombination. The batteries used are CR2032 instead of three button cells of the original. The 2011 HP-15C Limited Edition used two CR2032 batteries. You have to open the case (remove the four screws) of the SwissMicros calculators to replace the battery, instead of just popping of a small plastic door. I think it’s a good improvement as that little door was prone to get lost. Thanks to the metal case the DM-15L is slightly heavier than my old HP-15C, but not by much. It weights 130 gram (4.5 oz) vs 118 gram (4.1 oz), with the credit card sized DM-15 coming in at 57 g (2 oz). The price is a bargain if you compare with eBay, where the originals often ar sold for $300-400 or even more. The full-size L-models are all 119 CHF (Swiss Francs) and the credit card sized models are 89 CHF. The DM-41 models are each 10 CHF more. This translates to almost exactly the same price in US dollar as I write this. So what is my verdict? I am pleasantly surprised. Both models are very nice and the quality of engineering is what one would expect from Switzerland. The case of both model feels really nice, and thanks to the titanium they seem almost indestructable. I would not be worried keeping any of them in my pocket for daily use. The full size models come with a black case very similar to the original one. For the credit card models there are cases available for ordering separately. Is it worth $90 or $120 to own them? Absolutely. I still use my HP-15C almost daily, and not having to worry about losing it or having it damaged is worth a lot. Or perhaps you got rid or lost your original calculator and feel nostalgic and want to once more experience what many call the best calculator ever made. Yes, it is not the original HP, but it is pretty close and to an acceptable cost. And the credit card sized models are pretty amazing, showing how far we have come in 30 years. Disclaimer: I got the calculators for review from SwissMicro after they contacted me and offered to send me two samples. If I would have known about them earlier I would probably have purchased at least one. I have previously here on my blog mentioned my preference for HP calculators. 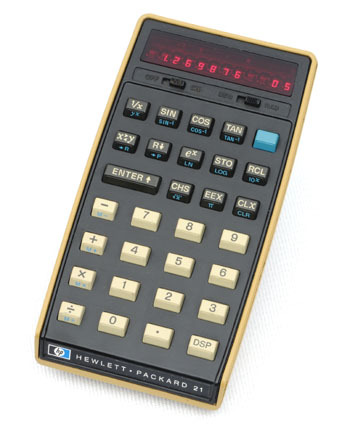 Our first calculator at home was the HP-21, with a red LED display, which we got in late 1975 (if I remember correctly), soon after it was released. My parents used it for all different kinds of calculations, especially taxes (back then the Swedish tax system was much more complicated than it is today). My cousin who worked at HP (and got us the calculator) explained RPN (Reverse Polish Notation) to me, and it made sense to me to use that system for calculations. Fast forward to 1983. I was now in 8th grade and we were allowed to use calculators in school. In 7th grade I had learned to use a slide rule (it was already outdated at this time) just to irritate my math teacher, but now I got my very own calculator, the HP-15C. 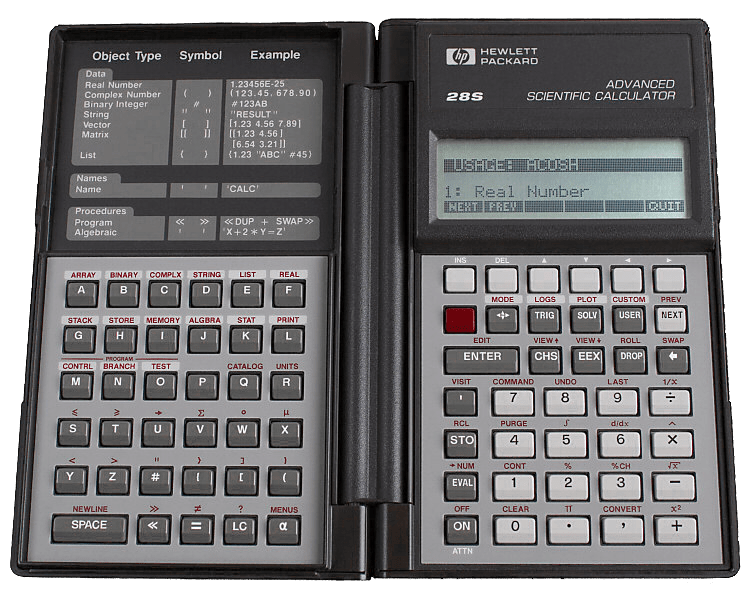 This scientific calculator, often called the best calculator ever made, was programmable with 448 program steps. I wrote all kinds of programs for it, and used it heavily in math and physics classes in school. 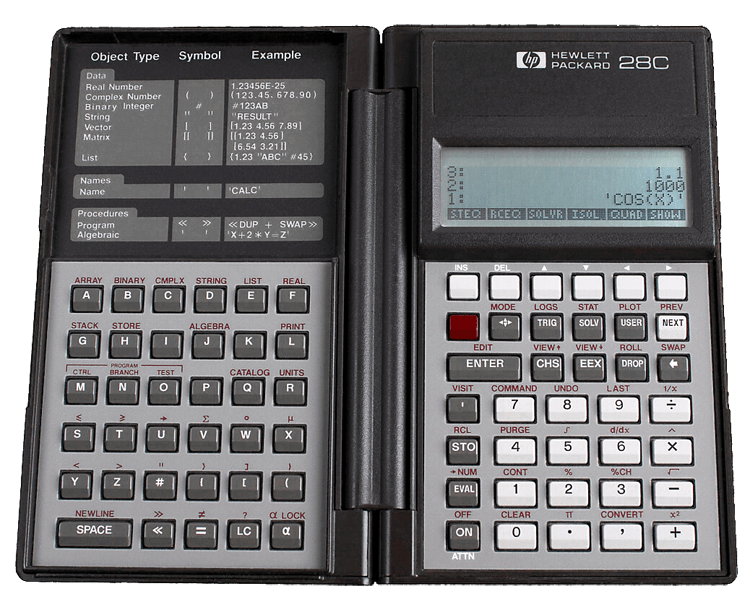 In 1987, HP released the graphing calculator HP-28C, with 2kB of memory, a display that could show not only graphs but all four levels of the stack, and a flip-open or “clamshell” case, with two separate keyboard sections. I got one as soon as it came out, as well as an infrared thermo printer (HP82240A). My dad took over my HP-15C, and he kept it until his death in 2001. A year later HP-28S was released, with 32kB memory and support for directories and custom menus, as well as a few new fucntions like symbolic expressions. So I sold the HP-28C and purchased the newer model, even if I was almost done with high school at this point. In 1990 HP released the great HP-48SX, with a large graphics display, two expansion ports for memory cards of up to 128kB, a two-way infrared port, a serial port with support for the Kermit file transfer protocol and 32kB build-in user memory. The processor had a clock frequency of 2 MHz and the display had a resolution of 131 x 64 pixel. I got this calculator in April 1990, while I served in the Swedish Air Force. 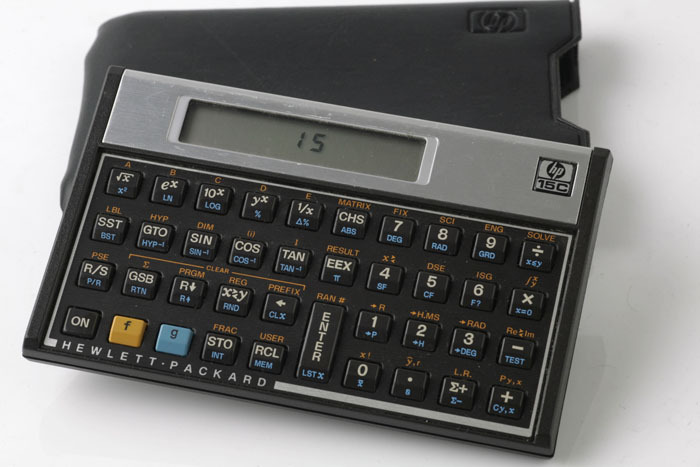 I really had no use for the calculator right then, but I knew that I wanted the latest and greatest in HP handheld calculators. I don’t remember what I did with my HP-28S, I think I may have sold it to an old classmate. I kept the printer, despite the fact that a newer model (HP82240B) had been released. The few changes did not motivate me to spend that extra money. I have kept my old trusty HP-48SX ever since, for 24 years now. It still works, and in the last 20 years I probably only had to replace the batteries a couple of times. 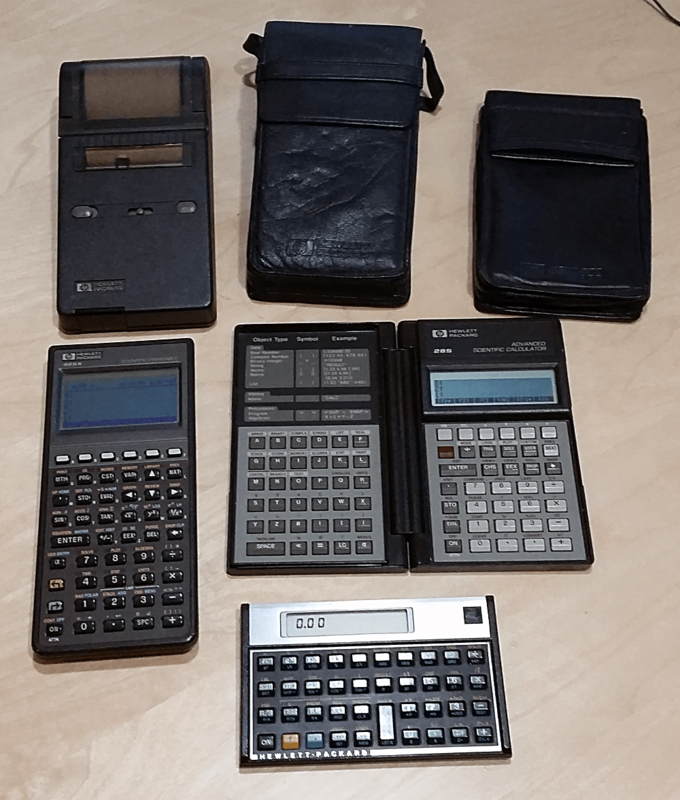 So now I have all the HP calculators I once owned, except the HP-28C. I also plan to purchase another HP-48SX, as my original calculator have a problem. In order to turn it on or off, I have to press lightly in a specic spot on the case. This well known and common issue is due to a shrunken/dried contact pad between the display and the main curcuit board. I also purchased a non-working HP-48SX just a few days ago for $22, just so I can open it and see what it looks like inside, before I attempt to repair my own original calculator. Of course I hope that the eBay seller never tried the trick to press in that particular spot, so it may just have the same issue as my calculator. We will see when I get it. 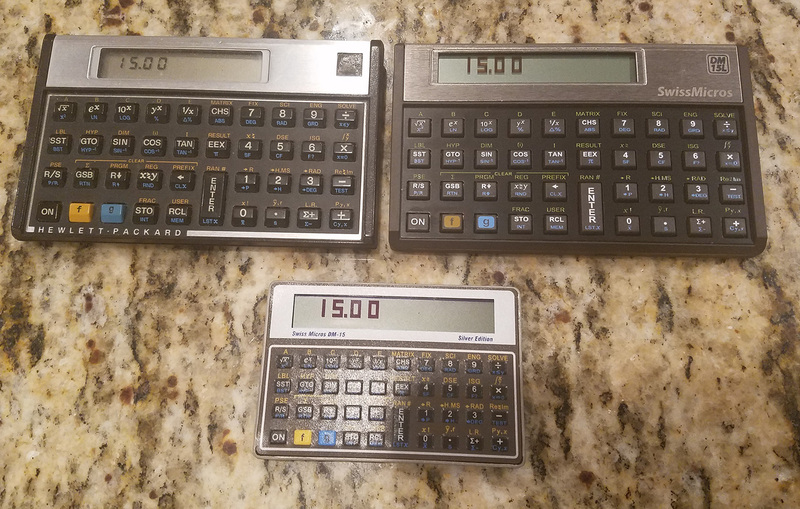 Below is my little collection of HP calculators and printers. In the top row you can see the HP82240B printer to the left and the HP82240A in it’s leather case in the center. To the far right is the leather case for HP-28S. My collection of HP calculators and printers.